I’m 24, 175 cm (5″10), 224lbs. I am fairly active (I workout 4-5 times a week) and your calculator puts me at 2033 calories a day, 154c, 227p, and 56f. I just think 2033 calories is fairly excessive and I’ve been on diets all my life and have never passed the 1300 calorie range as I am considered overweight. It can seem really strange to eat so many calories when you’ve been told all your life that the only way to lose weight is to follow a low calorie diet. 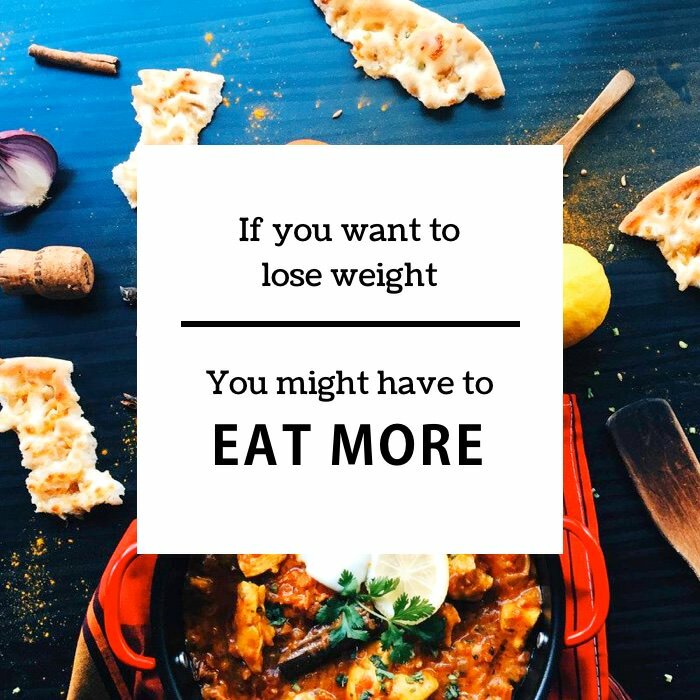 But, for many, eating more is actually the key to losing more. Here’s why. In the above example, this woman was accustomed to eating 1300 calories. She would probably burn about 400 calories at the gym, which would only leave her 900 calories to fuel her bodily processes and general movement on exercise days. According to our calculator, her sedentary calories are 2218 just to maintain her current weight. Therefore on exercise days she is putting her body in a 1318 calorie deficit. Our basic understanding of weight loss principles would say, “wow, she should be at her target weight in no time!” but, the body doesn’t quite work that way unfortunately. Your body is a very complex machine and its goal is survival, even at the cellular level. So what’s the body to do when it needs 2218 calories, but you are only giving it 900? 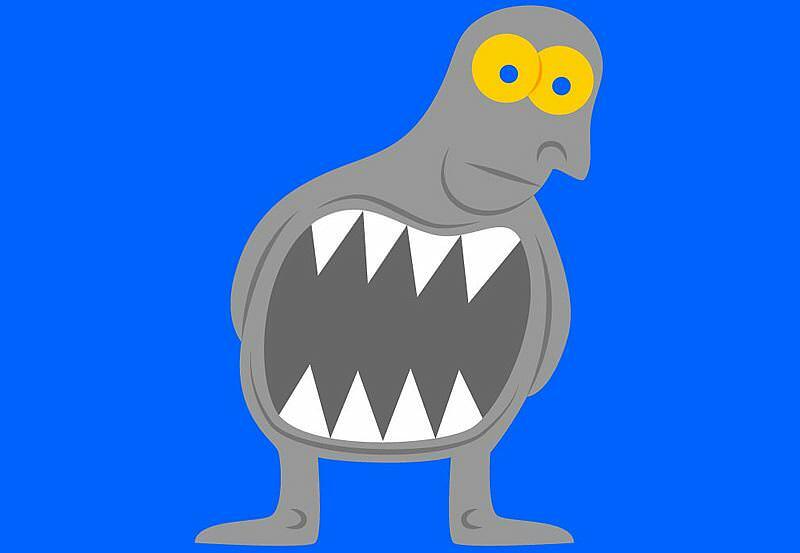 Our bodies are very clever and we still don’t yet fully understand all of the ways it can survive when placed in stressful situations. This explains why some people who have been stranded at sea can survive for months on practically nothing. The body begins to slow down the metabolism in an effort to maintain homeostasis in light of a drastic calorie deficit. A similar thing happens for extreme dieters. The body slows things down, slows the burning of fat, and actually begins to breakdown muscle tissue for energy especially if the dieter is also engaged in weight training. Muscle Cannibalization is simply when your muscles are broken down by the body and used as fuel for other parts of your body. Drastic calorie deficits can cause this as well as not eating enough protein. Your body can break down one muscle group to build and repair the group you just worked out and then vice-versa later in the week when you work out the other muscle group. To prevent this from happening a dieter must eat enough calories and enough protein to prevent this from occurring.4 Dieters want extra energy to come from their fat reserves, not their muscles or they’re defeating the purose. For those that are already pretty lean, but just have 5 pounds to lose, calorie deficits can be even smaller. So, make sure you are eating enough to support your bodily processes and the growth and activity of your muscles, but not too much that your body won’t burn a small amount of its fat reserves each day to make up for the slight deficit you are in. It can be really challenging for some dieters to eat more, especially if they have been doing low calorie diets for a large portion of their lives. It can also be challenging for people to eat the amount of carbs recommended with flexible dieting especially for those that have had “carbs are bad” drilled into their heads for so long. It’s time to start eating again and come into a better relationship with food. Slow and steady weight loss is the goal with flexible dieting and this, unlike other diets, is sustainable over the long-term because you are able to eat and not feel deprived. Here’s a comment from someone who started to eat again. Thank You so much! I’ve been on it for a week. I meet my macros, but having a hard time getting all the calories in, I’m not eating under 1300 anymore but always end up around 1500 at most – it’s not much difference but my body feels great; I recover much better and I am eating more carbs than before but not yet the 205 recommended. I’m still at 60% this week but next week I’ll amp up to a 70%, my body has already started to change. 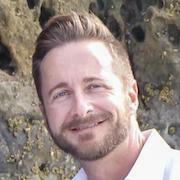 I also want to express the importance of managing expectations when doing the flexible diet or any diet. For women, nature is actually working against the quest for a low body fat percentage. 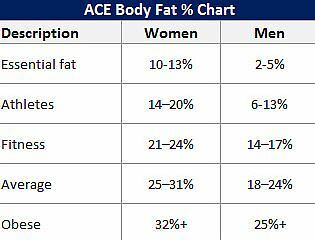 A woman’s hormones are constantly preparing the woman’s body for childbearing and this means a healthy layer of body fat.6 Just look at the body fat percentage differences among men and women. So, focus on getting healthier by eating nutritious food, eating enough food, and being more physically fit because usually only those that get paid to look like ultra-ripped athletes actually have the time and resources it takes to look that way. In closing, I can’t express the importance of working to change your low calorie and low carb mindset and begin eating again. If you want to break free from a slow metabolism and break the weight loss plateau then you have to give your body enough fuel to leave the launch pad. Schwartz, M. W., & Seeley, R. J. (1997). Neuroendocrine responses to starvation and weight loss. New England Journal of Medicine, 336(25), 1802-1811. Owen, O. E., Smalley, K. J., D’Alessio, D. A., Mozzoli, M. A., & Dawson, E. K. (1998). Protein, fat, and carbohydrate requirements during starvation: anaplerosis and cataplerosis. The American journal of clinical nutrition, 68(1), 12-34. Chaston TB, Dixon JB, O’Brien PE. Changes in fat-free mass during significant weight loss: a systematic review. International Journal of Obesity (2005). 2007;31(5):743–750. Tarnopolsky, M. A., MacDougall, J. D., & Atkinson, S. A. (1988). Influence of protein intake and training status on nitrogen balance and lean body mass. Journal of Applied Physiology, 64(1), 187-193. Price, T. M., O’Brien, S. N., Welter, B. H., George, R., Anandjiwala, J., & Kilgore, M. (1998). Estrogen regulation of adipose tissue lipoprotein lipase—possible mechanism of body fat distribution. American journal of obstetrics and gynecology, 178(1), 101-107. Hi there, I’ve found this to be super interesting. I’m 5’3 and have always been an athlete and weighed more than I looked in my teenage years. At my most fit and lean, I weighed 125 lbs. Now, that I’m 23 years old and have noticed my activity level slowly decreasing, I weighed about 160 lbs a year ago. I’ve been scale shy ever since and just decided to count calories and workout again, I also waitress sometimes to jobs in one day and would count those steps. So, for 45 days straight I followed a 1,338 calorie diet and I would be a little under most days including my workouts and steps at work, and some days (8 of the 45) I was over by 400 or 500 calories from taking a rest day. But overall my net calories never went over 1,900. And I just got weighed, after 45 days I thought I would weigh less. But I weigh the most I ever have at 175. I’m hurt, confused, and depressed. I have no idea how to approach this to get to my goal of 140 lbs. Any advice would be greatly appreciated. Thank you for reading. Hi Emily, Something seems amiss somewhere for sure. At those levels, you shouldn’t be gaining weight. Have you considered having blood work done? You should analyze your thyroid and hormone levels specifically. Thank you for the response! It has crossed my mind on multiple occasions that the issue I’m having could very well have to do with my hormones or be relative to my thyroid. Could a thyroid or hormone issue be a serious problem? Yes, An underactive Thyroid can make it difficult to lose weight. It’s a pretty easy blood test to check thyroid function. I understand that. My question is if I walk 8,000 steps in a day (and therefore burn 400 calories), how many can I count as added to my daily intake (as opposed to the 300 already accounted for in the formula)? My fear is that if I end up double counting calories (in the TDEE and exercise credit), I will end up eating more calories than I should and gain weight as opposed to eating a healthy amount and maintaining my goal weight. That is why I am looking for general guidance on what I can count and what is already counted elsewhere. You could probably add an extra 100 calories. 8000 steps = 400 calories is an overestimation of the number of calories you’d burn unless the steps were done all at once during purposeful walking were your heart rate was elevated most of the time. That’s one of the big problems with step trackers, they always tend to overestimate calorie burn from steps. This article is very interesting and enlightening. Thank you very much. Im 5″3 and weigh maybe around 128ish pounds. I developed a horrible eating pattern of just eating 1-2x a day. My stomach is definitely bloated but I’ve also gained some love handles. Its the worst part of my body. I’ve never had abs before but I am done with being flabby. I started working out about a month ago. the bloating is going down a bit but I think I’ll just have to eat more to lose more. I’ve never thought of it that way. I really hope it works. My body is so embarrassing and I havent worn a swimsuit in years. I work out for about an hour doing cardio and some ab exercises. Hopefully by the end of the year I’ll look and feel much better. the problem is, Im a horrible eater. Im terribly picky, I forget to eat, and Im not too fond of meat, even though I understand I’ll need the protein. Cross your fingers for me! Growing up I was always able to eat anything I wanted to and since I grew up in a city where car use was actively discouraged, I used to walk an average of 7 miles/day at a brisk pace. Then I moved in my 20s to a more suburban area where cars were essential. I ended up slowing down, not walking as much but maintaining my eating habits. In short over 21 years I put on 30lbs. I have now lost 35 lbs over the course of 4 months and I am now getting ready to shift into maintenance mode. So far the only exercise I do is walking (sometimes at a brisk pace) and average roughly 4,300 steps/day with some days exceeding 6,000. Since this is the only exercise I do, I selected sedentary within the calculator but I know that a certain amount of physical activity (including walking) is built into the TDEE for sedentary. My question is, since I do not want to double count calories burned from walking, is there a certain level or threshold that I should not count below? For example, if TDEE builds in 300 calories for activity/motion and you tend to burn 100 calories/2,000 steps, should I only count the steps I take over 6,000 instead of all 6,000 as the TDEE already assumed 6,000? Great job on your weight loss. The sedentary factor doesn’t just account for casual steps but also accounts for other movements you do during the day and digestion energy expenditure. I have a question but sadly I can’t find the answer long time. As I start working out a year and 3-4 months ago, I was in a calorie deficit for about 6 months. I am running, doing strength and abs workout. Then I lost my period and I stopped counting my calories for 1-2 weeks till period get back. At the moemnt I am eating 1900-2000 something 2100 calories a day. In some days I am eating nearly 3000 caloris but that’s once a week maximum. I am 26 years old female 53 kg and 155cm tall. I don’t want to lose weight as My goal is to build muscle. At the moment I have a good muscle mass head to toe and not a lot of fat %. My question is . Do I need to go from time to time in a calorie dificit if I don’t want to lose weight? Is the amount of calories too much for me if I burn between 500-1000 calories a day ? And one very important question (as everywhere I reed different theories) can you eat some extra calories from workout if the dificit is too big. As some days I run, doing strength and have a long wals so I burn 1000 extra calories and this is quite a lot for my body size . If you don’t want to lose weight and you already have a low body fat percentage, there is no reason to be in a calorie deficit. I REALLY REALLY NEED HELP DESPERATELY I’m 6 ft. 5 inch. And 163 LBS. And work-out at least 2 hours, atleast 4-5 days a week sometimes 6 but I always have 1 rest day for sure. I usually I work-out 3 hours a day, (2-2.5 hours weight lifting and 35 minutes on the elliptical machine not including the 30 minute walk there and back so technically 4 hours). In the end I usually burn an average of 1330 calories at the gym usually. I’m skinny fat, (I don’t know my body fat percentage, but I know it’s more than it’s supposed to be) my BMR is around 1800 (from the online calculators at least, it varies though) so I’ve been trying to eat 1300 calories a day for my deficit, and I usually do pretty well, tracking calories with lots of protein bars , or protein smoothies, and chicken and eggs. But when I get home from the gym I end up way over eating and losing count of all the calories and feeling really bad. 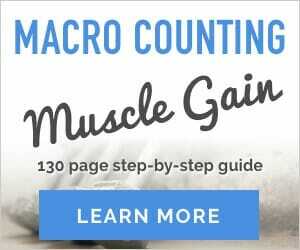 I’m trying to get a flat stomach for the summer (3-4 months) I really need help with a stable answer on what to do, because all the online calculators tend to give me different answers so I don’t know what to do. Maybe I just have low will power or am impatient but it seems so inconsistent. And I feel like my stomach fat is growing but I can see outline of abs starting to form on my midchest but with those abs getting bigger my stomach and it’s fat come out more too along with my love handles. I think my work-out is good, I work out hard with heavy weights and a long time. But the deficit I struggle with. I really need help. Hi Jaden, After reading the above article doesn’t it seem like this rings true for you? You are working out excessively and then in conjunction not eating enough. You need to eat a lot more and be in no more than a 20% calorie deficit.